Denver Holistic Medicine offers several holistic skin care service options that help our patients care for, maintain and rejuvenate their skin naturally, beautifully! Our holistic skin care treatments not only breathe new life into your skin, but also promote overall health and well-being as part of a comprehensive holistic health approach. We offer completely customized skincare treatments for every skin type or problem, in conjunction with functional medicine testing, acupuncture, nutrition, herbal medicine, and lifestyle counseling to encourage healthy skin and natural beauty. We make sure to provide all of our patients with the tools and resources they need to have not only healthy, glowing skin, but to feel just as amazing on the inside. We use and offer products from Beautycounter, a comprehensive full body skin care line whose mission speaks for itself. Beautycounter bans over 1,500 toxic chemicals from their products. Not only safe, but also highly effective, this brand is like no other out there. 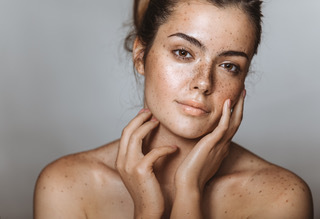 We offer options for both women and men who are looking for less invasive and potentially dangerous dermatological treatments such as Botox, Juvederm, Restalyne or even surgery.